Ashcroft Electrical - Benefits of Solar . . . Solar Electricity allows you to generate your own clean, affordable solar electricity for your home and is not as complicated as it seems! Answering any questions you may have from your solar installation to the components used. 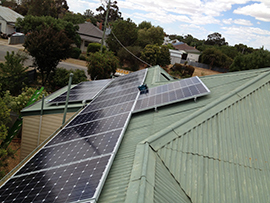 The benefits of solar energy for each home is unique to the clients requirements. Ashcroft Electrical always take a personalised approach to each installation. We verify your roof size, shape and orientation as well as your current electricity usage. We will also discuss your environmental and financial goals to ensure that going solar is the right choice for you. To learn more about the unique benefits of turning your home into one of a growing number of solar energy homes,contact Ashcroft Electrical to discuss what your requirements would be. 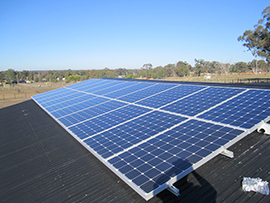 New feed-in tariff arrangements are available to all eligible customers from 1 January 2013. The feed-in tariff currently offers a minimum of 8 cents per kilowatt hour for excess electricity fed back into the grid. Some electricity retailers may offer a higher rate but are not obligated to do so. Additional low-emissions technologies will also be made eligible under this scheme from mid-2013. Further information on the future eligible low-emissions technology systems available under the feed-in tariff will be updated on this website. 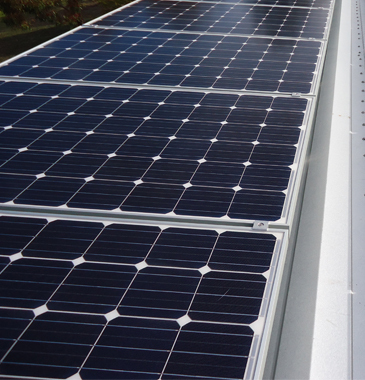 The rate for the feed-in tariff will be reviewed and updated annually until 2016 by the Essential Services Commission. The 8 cents per kilowatt hour rate is based on the adjusted wholesale price of electricity. The new feed-in tariff arrangements provide a basis for continued growth in the solar and other renewable energy industries while avoiding placing undue cost pressures on all Victorian electricity customers. Contact us today to discuss how we can help with your Solar Installations! Copyright © 2013 - 2019 Ashcroft Electrical. All rights reserved.